We are open 24/7 to best serve all of our guests' needs. Take the ''Prices Fork'' exit off of Rt. 460. We are located .25 miles to the right, behind the BP gas station. 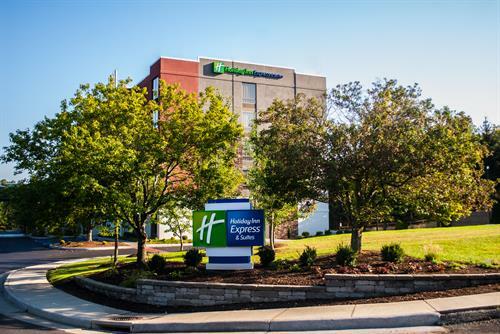 Our Holiday Inn Express Blacksburg University Hotel is centrally located less than a mile from the Virginia Tech Visitors Center and is the best place to stay during Virginia Tech orientation or your overnight trip to Blacksburg! We continue to be a popular choice for sports teams, business travelers and visitors, because our guests experience a great night's sleep in a spacious suite for the best value in Blacksburg. 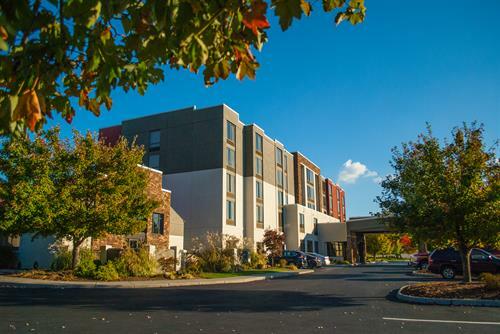 Our Blacksburg hotel is just minutes from Virginia Tech, Lane Stadium, Center For The Arts and Downtown Blacksburg. 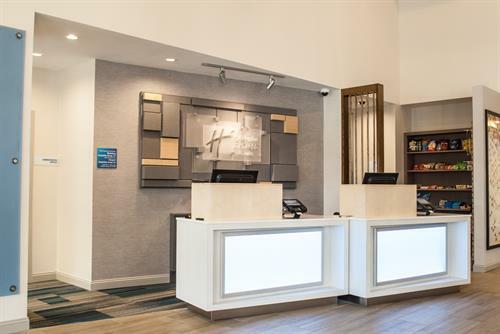 A short distance from our Holiday Inn Express Blacksburg Hotel are the Virginia Tech Corporate Research Center, Christiansburg Aquatic Center and Radford University. 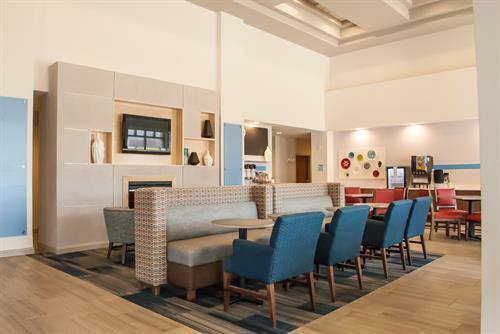 Along with complimentary Wi-Fi and business services, our guests can also enjoy our free Express Start Breakfast Bar each morning that features a variety of tasty options like eggs, bacon, pancakes and fruit.